My family love this salad, and as a result I have made it many, many times. It is beautiful to serve and then is the most perfect leftover. Everyone always goes “aw man” (said in a whiney voice) when there is nothing left to scrape from the container in the fridge. I think it has something to do with the mix of salt and sweet, leafy and earthy. Your mouth sort of does a jig of pleasure. I firmly believe that every situation or condition brings the full spectrum of possibilities. So…..there is potential for good and bad in everything and what we choose to focus on expands. Just like my description of this salad being salty and sweet etc. You will taste more acutely that which you choose to focus on. Before I get too philosophical, let me get to my point…..whether I’m in St. Lucia or London or indeed wherever I happen to find myself, there is a richness and a happiness. The opposite is present and needs no description but is usually present too if you choose to see it. The photo above (which I found to be a random gift of beauty) is of the Queen’s Rowbarge “Gloriana.” She was taken out for a spin the other day and I was lucky enough to capture this image. The link to my salad is the fact that I feel part of the river Thames as I look at it everyday when I am in London, I live in a Commonwealth country the rest of the time. 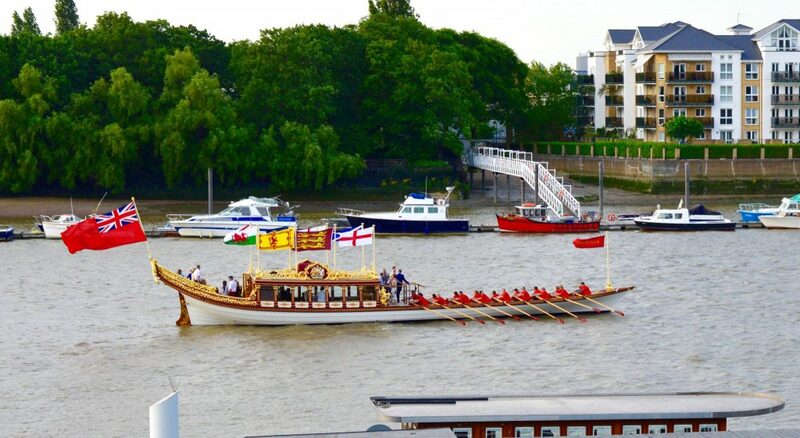 Much of my life has centred around encouraging young people, and last, both my salad and the Gloriana are beautiful, have many elements, and the power to delight and satisfy. I’ve made this salad for many a gathering on both sides of the Atlantic. 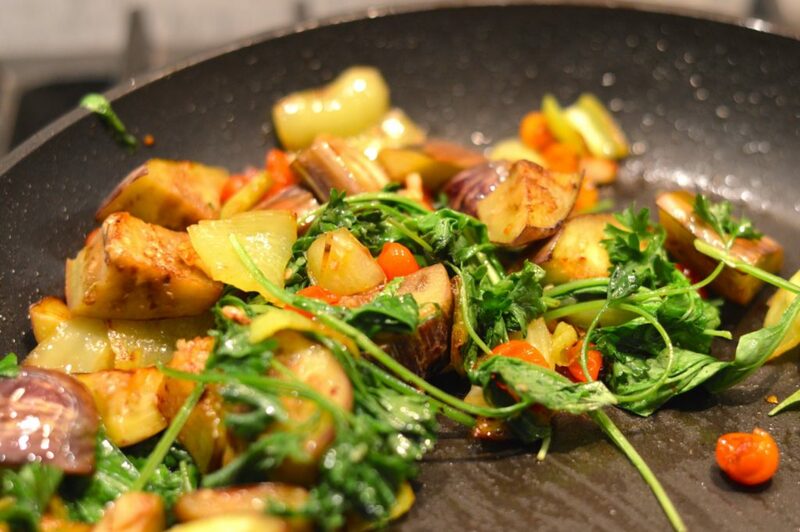 The original recipe came from Ottolenghi, but as is my way, I change this and that as I go along. Cook the rice and quinoa in separate pots, drain and allow to cool. The super sleuths among you will notice that I threw in a few wild rice grains this time. I find cooking the grains the day before is good but not critical. Roast the pistachios in the oven (or dry roast in frying pan) for 8 to 10 mins keeping a close eye so as not to burn them. Mix everything together and if its all cool, then also mix in the rocket. If not then wait until just before serving, reserving a few leaves for the ever important grand reveal and presentation. Super sleuths et al will already have noticed that the “grass” here is in fact astro turf. It’s completely naf (English colloquial for a bit silly and tacky) but the girls and I have over-ruled Mark and it gets to stay on our porch in London. I’m told you can even buy a variety that has weeds woven in for a more natural look……hmmmm……not sure. Chicken with apricots "Healthy" cake with apple, olive oil and maple icing.. Please do subscribe and thank you for your lovely positive comments. Let me know how you get on with the quinoa. This looks awesome! I’d love to try it out, thanks so much for sharing! Thanks so much. I hope you do try this recipe and let us have some feedback. Yay!! 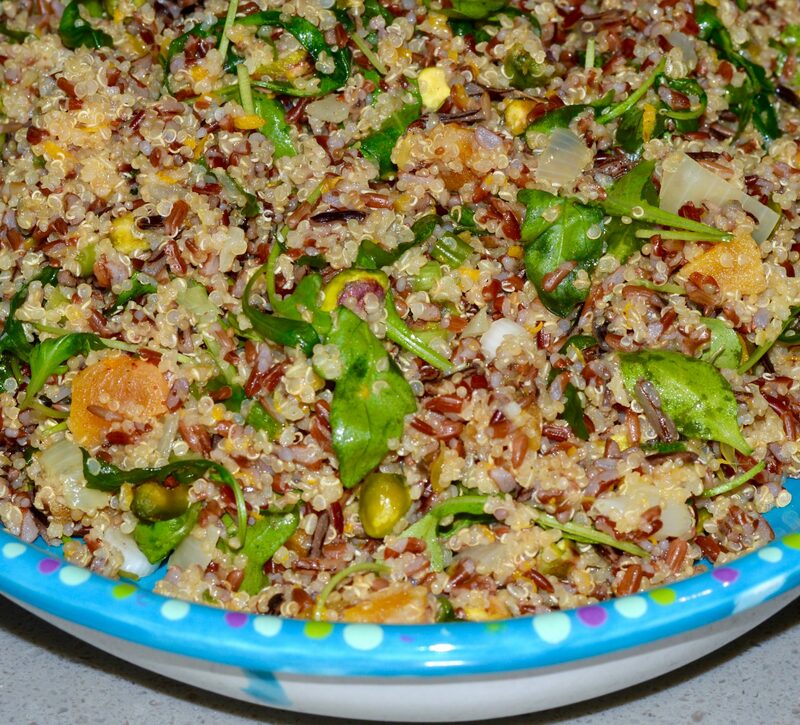 Glad to hear about the “pop” Let me know how you like the red rice and quinoa salad…. This looks so good.. I’ve been experimenting with foods I’ve not tried before recently, so this one is going on my list! What an amazing salad! Love the addition of the pistachios and apricots. 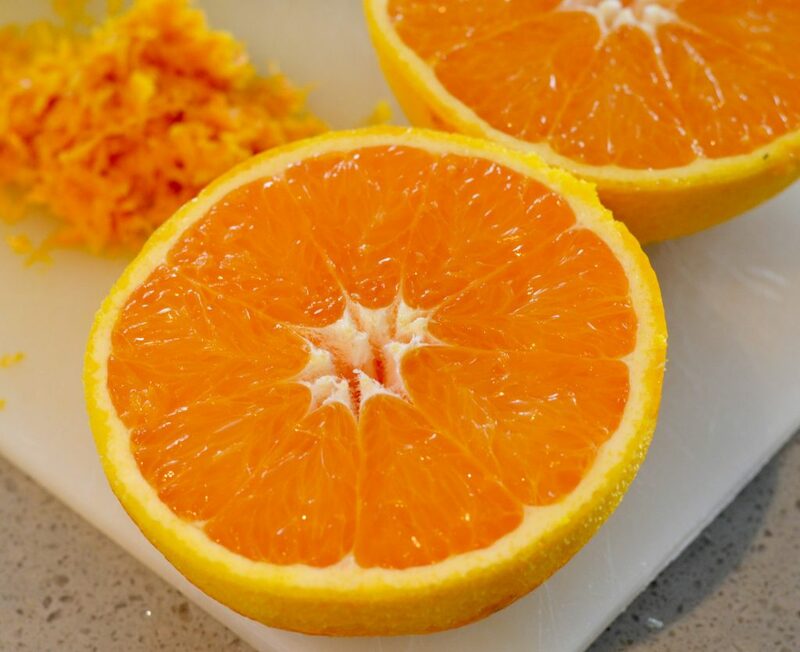 So flavorful! Such a summery looking salad! 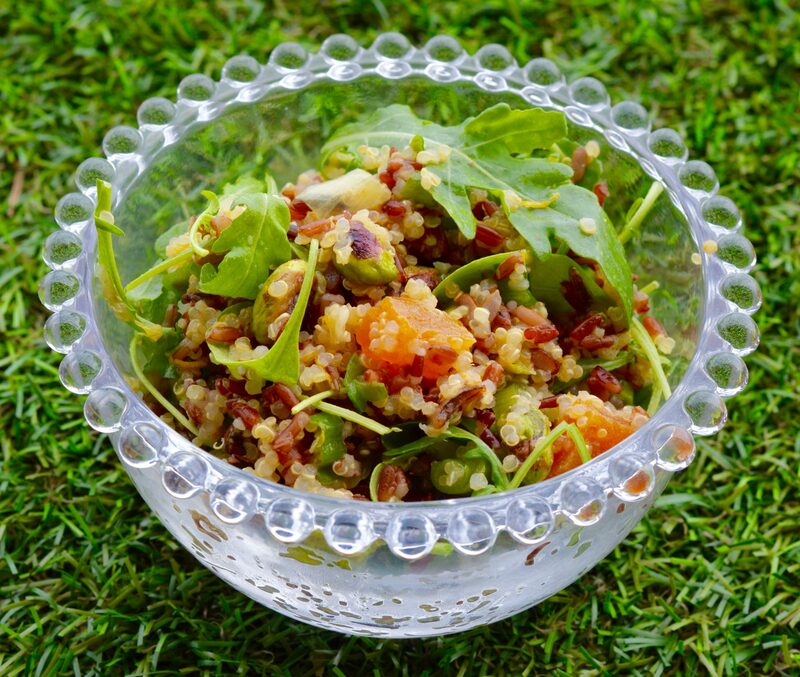 I do love quinoa in salads, makes a nice change from rice and pasta. 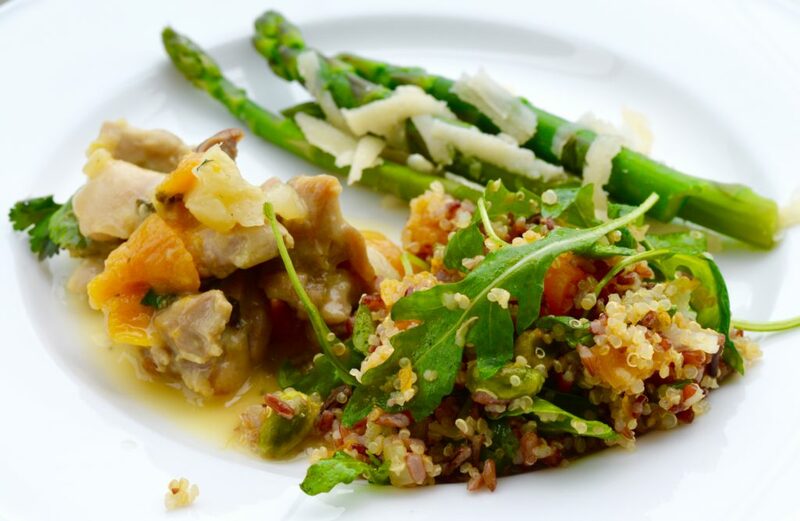 Quinoa is one of my favorites! There is nothing I don’t love about this recipe!! Thank you.. this is a MUST try! !